Before starting our family, I worked as a local primary school teacher. I decided to work as a childminder rather than returning to teaching, now that I have my own family. I am so glad I made that change! 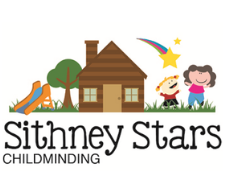 For me, childminding combines all the fun parts of teaching, whilst still allowing the flexibility to get out and about following the children’s interests and enjoying our local countryside as much as possible! I aim to provide childcare that is nurturing, calm and enables the little people in my care to follow their own inquiry and learning through their play. I offer an abundance of opportunities for them to develop new skills whilst still enabling them to lead their own learning paths.
. We are out and about as much as we can, enjoying the great outdoors wherever our explorations take us… the woods, the beach, the parks and everywhere in between! We also visit local groups and attractions and meet up with other childminders for larger group outings. I have worked as a primary school teacher for many years and experienced additional support in a variety of circumstances. My knowledge and experience, coupled with thorough observations highlight any areas where a child may need extra support. Through careful delivery of the EYFS, using appropriate supporting documents such as ‘Development Matters’, ongoing observations, planning appropriate activities and ultimately, getting to know the children really well. Attending relevant school playgroups where available, attending stay and play sessions in their nursery or reception class, liaising with new class teacher, attending transition sessions, positive reinforcement of the changes ahead as well as encouraging school readiness in terms of independence and daily personal tasks. My safeguarding and welfare training are always up to date. I have undertaken the Level 3 multi-agency child protection training. I teach the children about various topics relating to their health and well-being. Healthy choices are reinforced daily. Daily diary, daily communications at drop off / collection, sharing assessments and progress. Our house and garden is fully accessible. There are three steps to the cabin, which can be easily altered to a ramp, if necessary. I have a downstairs bathroom that can be used for personal care. As children's learning and development needs and interests change, we frequently visit the toy library to keep our stock of toys refreshed and stimulating. Within reason, any specialist resources can be sourced - depending on the specific needs of the child. I plan accordingly and make alterations as necessary, so that every child can be involved.